Welcome to June’s edition of What Your Therapists are Reading. There is a variety this month ranging from parenting, education, depression and tools to use in therapy sessions. Make sure to add at least one of these to your summer reading list! Very helpful with open and close ended questions that do not impose or demand answers from clients. Multicultural and diverse cases. Helpful for practioners and students. You can connect with Karen A. Nash, Ph.D. Karen Nash fb page. 12 Rules for Life: An Antidote to Chaos by Jordan Petersen PhD. 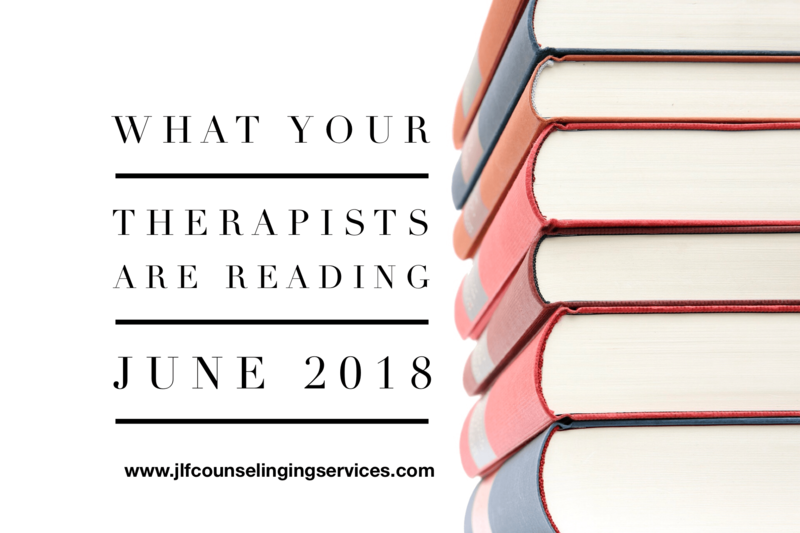 Hopefully you found something interesting to read and add to your summer reading list from this months edition of What Your Therapists are Reading. As always you can catch up on the previous editions from the past months through the links 2015, 2016, February 2018, March 2018, April 2018, and May 2018. *Please note that this blog post is for informational and educational purposes only. It is not an indorsement of the books or the therapists contributing the book. If you need assistant, please contact a local mental health professional.